We operate day trips in Antalya at low budgets but great services. Demre is one of the destinations in this tour. It is the Lycian town of Myra, the home of Saint Nicholas of Myra, the historical man later developed into the figure of Santa Claus. Myra was one of the most important cities in ancient Lycia. Coins have been found dating back to 300 BC. The city thrived as part of the Roman Empire and many public buildings were built that you will be able to explore on this tour with us. 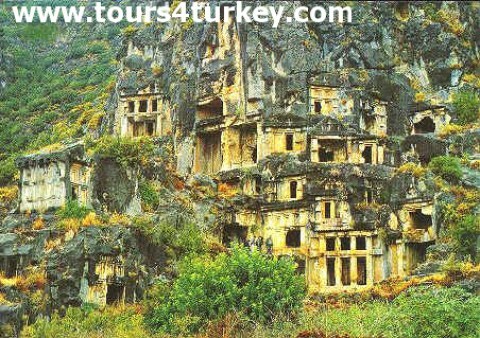 Copyright © Tours 4 Turkey.